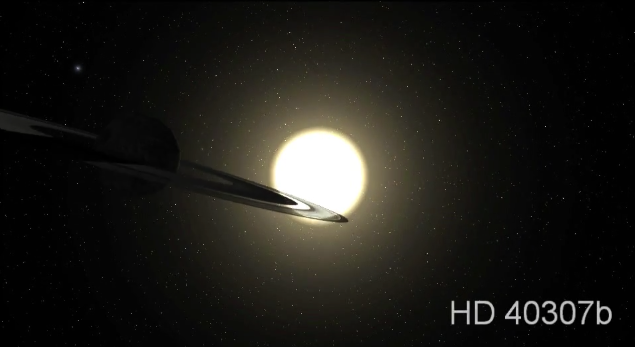 While the other planetary candidates in the HD 40307 system are positioned much more closely to the star, with b, c, d, and e within or at the equivalent orbital distance of Mercury, g appears to be in the star’s liquid-water habitable zone, orbiting at 0.6 AU in an approximately 200-day-long orbit. 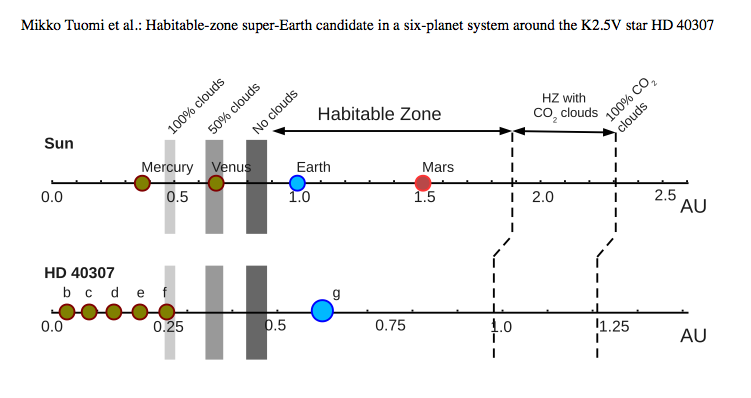 At this distance the estimated 7-Earth-mass exoplanet receives around 62% of the radiation that Earth gets from the Sun. 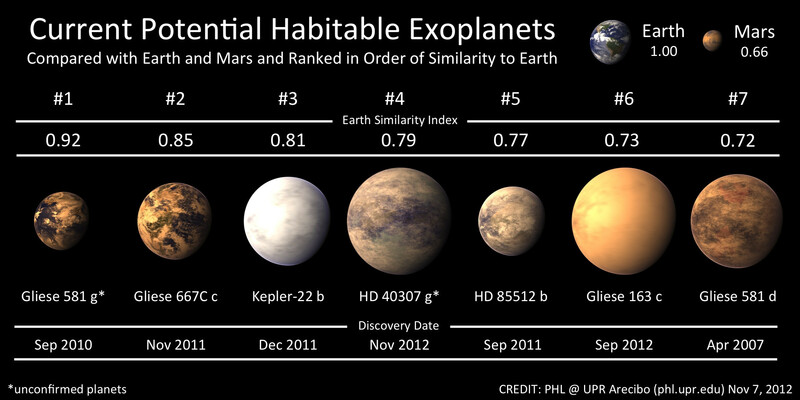 This entry was posted in Exoplanets and tagged earth-like, eso, exoplanet, harps by Thomas. Bookmark the permalink.